In this post, we'll examine the fundamentals of SPAs with server-side rendering and discuss the pros and cons of using such an approach in your web properties. In addition, the HTML5 History API allows us to alter the page's URL without reloading the page, allowing us to create separate URLs for different views. This allows the browser to keep the current page open while making requests to the server in the background to fetch additional content or new "pages" altogether. If you've ever begun a search query and had intermediate results appear below the input form as you were typing, then you've witnessed dynamic queries taking place in the background that updated those DOM elements. The new content on the right is served as soon as it's clicked, whereas the one on the left requires fetching the HTML and reloading in the browser. This provides the best of both worlds: fast initial load times and fast page updates or "reloads." 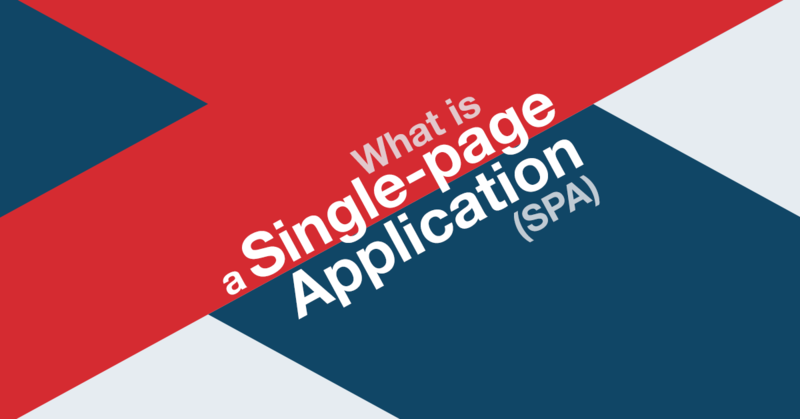 First, if you'd like a rich interaction between the user and your application, an SPA is almost a necessity. Second, if you want to provide real-time updates on the page, you'll most certainly need to make use of this approach; notifications, data streaming, and real-time charts require the use of such an approach. Published at DZone with permission of Aaron Groom , DZone MVB. See the original article here.